What Can Cause My Kenmore Washing Machine to Make Clothes Smell Like Oil? European engineering, whether of automobiles or household appliances, typically differs from that of American appliances. When it comes to dishwashers, the biggest variation between those of the two continents relates to energy efficiency standards. Beginning in the 1970s, and built upon by the Kyoto Protocol on global warming from which the U.S. abstained, many European nations raised the energy standards of their machines while American technology has not been as quick to adjust. European dishwashers are considered to have more of a sleek design. The main difference between European dishwashers and those of the US. is how the water is used to clean dishes. Dishwasher users in America may be accustomed to the steam that rises from an open dishwasher door after a recent cycle, but in Europe there is no such occurrence because the dishwashers only use cold water. This method is meant to conserve heat and electricity. European dishwashers also use less water in general as part of conservation efforts. Exchange rate aside, European-built dishwashers are often much more expensive than their American counterparts because to build machines that live up to the environmental standards, European countries have accepted, the quality of the equipment needs to be better at picking up the slack. Items like stainless steel water tanks, which are essentially rustproof, ultimately raise the price. On the other hand, European dishwashers, as a benefit of consuming less resources, are successful in lowering utility bills, whether water, electricity or heating. So although American machines are less expensive, they tend not to last long and to result in high utility bills. Generally speaking, European dishwashers offer more features than the average American product. For instance, many European machines include a water softener filter, which is useful because hard water, present in many areas, hinders the effectiveness of soap. 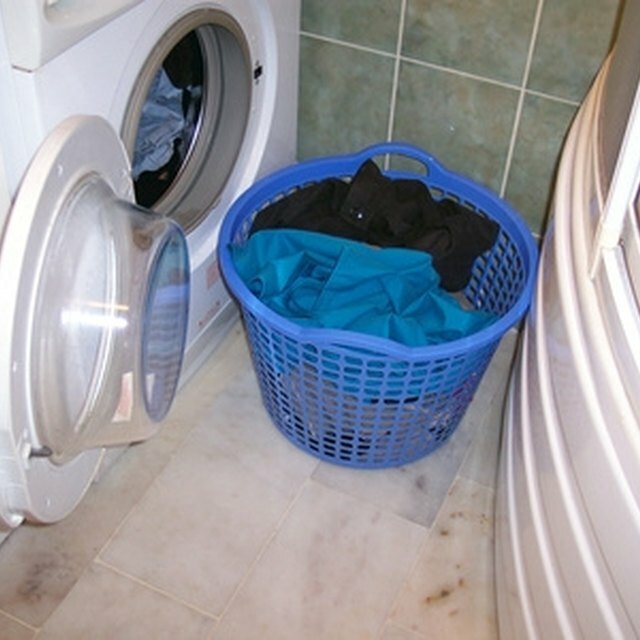 Another feature found in Euro models is what is called "sensor technology," which is designed to regulate the cycles of a washer so no resources are used unnecessarily. While it is true that, within the past decade, some higher-end American models have been equipped with similar features, most have not -- mostly because America has not adhered to energy efficiency standards to the same extent, or as long as, most of Europe. European and American dishwashers even vary in appearance. European machines are known for their sleek, minimal appearance, although the trend in American design is certainly moving toward the European model. Although the design is not intended as part of the eco-friendliness of the washers, such material as stainless steel, used for conservation reasons, just happens to be considered by many to be aesthetically pleasing as well. How Does a Portable Washing Machine Work?